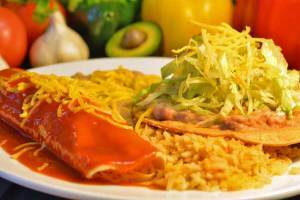 When you think of Mexican food in Page, think Alibertos! Their home-style Mexican cuisine is the perfect blend of traditional Mexican food and exciting new dishes; meaning they have something delicious for even the pickiest of eaters! The first Alibertos was founded in 1986, and they’ve spent that time perfecting their menu and growing to locations in California, New Mexico, and of course, Arizona. Alibertos has all of the food that comes to mind when you hear “Mexican Food”. One look at their menu and your mouth is sure to water when you see all the standards like enchiladas, tacos, burritos, carnitas, green chile, fajitas, chimichangas, and more! Want breakfast? It’s served all day! Need lunch? Grab one of their AMAZING daily specials, like a bean tostada and a small drink, or a bean and cheese burrito and small drink; both only $2.99! Hungry for dinner? Try one of their THIRTY combination platters! Even if traditional Mexican fare isn’t your cup of tea, Aliberto’s menu is so extensive that it won’t be hard to find something for everyone! Try the combination platter sopes, or the delicious machaca. Craving seafood? They’ve got fish and shrimp tacos or burritos, fish tortas, shrimp quesadillas, mar y tierra, and more! No matter what your taste buds are craving, head to Aliberto’s for fantastic prices and even better food! 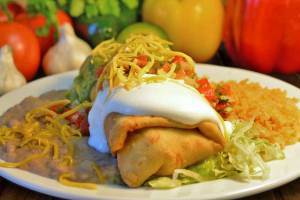 You won’t be disappointed with this fantastic Mexican cuisine.